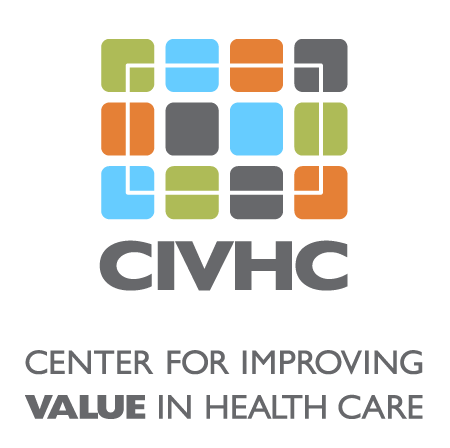 CIVHC's staff has wide-ranging experience from sectors critical to changing the trajectory of health care including: Mathematics, Health Care IT, Economics, Business, Management, Analytics, Law, and Public Health. Ana English has served as CIVHC’s Chief Executive Officer and President since August of 2014 and joined the organization with more than 25 years of health care experience in finance and business operations. Prior to CIVHC, Ana was on the executive management team for the American Medical Association (AMA) and served as the head of the AMA’s for profit subsidiary, AMAGINE. Previously she served as President and Chief Operating Officer for Electronic Network Systems and Optum Health. Ana’s health care career started with insurers Lincoln National and Foundation Health Systems where she held various leadership positions including Vice President of Analysis and Planning, Senior Vice President of Administration, and divisional Senior Vice President of Operations. She holds a Master of Business Administration with an emphasis in Finance, as well as Bachelor of Arts degrees in the fields of Economics and Political Science. Dwayne Aaron provides planning, leadership, and support activities for CIVHC’s short and long-term project initiatives. Dwayne has over twenty years of experience as an IT professional with eleven years of project management experience within health care, state government and banking. Prior to joining CIVHC, Dwayne served as project manager for Catholic Health Initiatives. His career has also included project management roles at Catamaran and the Colorado Department of Human Services. Dwayne is a certified Project Management Professional (PMP) and has an MBA from the University of Cincinnati and a Bachelor’s degree from Michigan State University. Vinita joins CIVHC with decades of experience in analytics. Vinita most recently served as an independent consultant after retiring from her role as Director of Performance Assessment & Clinical Effectiveness at the University of Michigan Health System. Throughout her career, Vinita has been an expert at design and development of performance measurement systems, development of analytic capabilities to respond to new payment and care delivery models, analysis to drive performance improvement, and design of public reports. She holds Masters of Public Policy and Doctor of Dental Medicine degrees from Harvard University. As Director of Business Operations for CIVHC, Alice Louise handles human resources, IT support, accounting management, and executive administrative support. With a background in consulting, education, and the performing arts, Alice Louise joined CIVHC after working as an office manager and research associate at Rootstock Solutions. Other prior positions included working as a liberal arts administrator at Stanford University, helping students and faculty in their personal missions for social, intellectual and artistic advancement. Alice Louise holds a Bachelor of Arts degree from Stanford University. Aspen supports five of CIVHC’s senior team members in addition to managing the front desk and special projects. Prior to CIVHC, she was an Executive Assistant for an Oil and Gas company in Washington D.C., an Operations and Sales Manager for a local Denver Website Development company, and an English Teacher abroad in South Korea. She acquired her undergraduate degree in Business Administration in from Metropolitan State University, and received her Master in Business Administration from University of Phoenix. In his role as a Health Care Data Analyst at CIVHC, Todd analyzes and develops meaningful health care data reports. He is well versed in the utilization of various business intelligence tools that can help consumers and health care organizations make better decisions based on trusted, objective data. Prior to joining CIVHC, Todd served as a Statistical Analyst for the Colorado Department of Health Care Policy and Financing and as a Case Management Coordinator for the Denver Department of Human Services. Todd holds Bachelor degrees in Economics and Sociology from Colorado State University and a Master in Public Administration with a concentration in Local Government from University of Colorado Denver. Account Executive for CIVHC, Everett (Eddy) builds relationships with stakeholders across the state to determine if CIVHC can provide value and support to their work. Eddy has over 10 years of health care consulting and business development experience and is proud to have served in the United States Air Force. He has worked for SCL Health, Kaiser Permanente, KFORCE Healthcare IT, and was previously the Director of Healthcare IT for SofTec Solutions. Eddy holds a Bachelor of Science degree in Business Marketing, a Master of Arts degree in Management and Leadership, and a Doctoral Management degree in Healthcare Leadership and Management. Eddy is an Assistant Professor at Colorado Technical University. As CIVHC’s Health Data Solutions Consultant, Dave is responsible for initiating and developing client relationships and new business opportunities, strategy development and execution, relationship management, and customer satisfaction. He holds over 22 years of health care industry experience in business development and new market growth including over a decade focused on population health and chronic disease management programs and initiatives. Dave completed his graduate programs at the Johns Hopkins Bloomberg School of Public Health. As an analyst for CIVHC’s Research and Innovation team, Chris supports conducting claims data analytics for public reporting and standard custom data requests. Chris worked with Kaiser Permanente as an analyst and quality assurance auditor prior to joining CIVHC’s team. He has a Bachelor of Arts in Economics from the University of Colorado Denver. Kari comes to CIVHC as an experienced healthcare administrator in acute, post-acute and dental care. She has served as a Nursing Home and Assisted Living Administrator where she had successful survey results and built quality improvement programs. In these roles she also worked on the Northern Colorado Care Transitions team, built programs to enhance person directed care and partnered with community members to reduce hospital readmissions. Kari holds a Bachelor of Art’s Degree in Business- Healthcare Management from Concordia College in Moorhead, MN and a MBA from the University of Denver. Kari is excited to step into this role and apply her experience and education to improve care throughout Colorado. As Director of Public Reporting, Maria is responsible for advancing CIVHC’s capabilities in reporting health care quality measures to health care providers, consumers, and other stakeholders. Prior to joining CIVHC, Maria managed data reporting and analysis from Electronic Health Records for a Federally Qualified Health Center System, producing measures to inform operations, clinical quality outcomes, performance improvement, program implementation, and evaluation. Maria has a doctoral degree in Health and Behavioral Sciences from the University of Colorado and a Master in Social Psychology from the National Autonomous University in Mexico City. Cari leads the Communication and Marketing team, dedicated to developing and implementing strategic outreach and communication efforts to heighten awareness of how CIVHC aims to support health care change agents. Most recently, Cari served as Director of Communications and Development at the Colorado Rural Health Center where she led communications, policy and advocacy, and new program development efforts. Prior to CRHC, Cari worked as Program Manager for the Colorado Foundation for Medical Care on patient safety and communications initiatives. She holds a Bachelor of Arts degree in pre-med Biology from Colorado College, and has an MBA in Marketing. In his role as Account Manager, Greg works with stakeholders across the state and nation working to improve health care through custom data requests. Greg joined CIVHC after working in health care wellness and business development at Arvada Sport and Spine Group and Schumacher Clinical Partners. His education includes a Master of Science in Exercise Science from Indiana University of Pennsylvania, and a Bachelor of Science from Gannon University. Rachel’s role as Marketing Manager is to enhance awareness and increase the visibility of CIVHC through providing expertise in product development, marketing, navigability, and accessibility. In her most recent position at the Kansas Foundation for Medical Care, Rachel served as the marketing and communications lead for multiple contracts, creating and implementing tactical marketing plans to fulfill recruitment, provide continuing education, engage providers and consumers, and market various health care service lines. Rachel received her Bachelor of Communications, with an emphasis in organizational and strategic planning, from The University of Colorado. In his role as Health Care Data Analyst, Paul supports multiple programs and projects at CIVHC, contributing SQL expertise, and Tableau visualization development. Paul joined CIVHC with over 22 years of analytic experience, 15 of which were focused on analyzing claims data in managed care and provider environments. Most recently, he had his own consulting company and worked for multiple clients, fulfilling their need for trend analysis, metric development, and general reporting. Kristin Paulson oversees CIVHC’s care transitions and palliative care programs as well as custom community-driven analytics. Prior to joining CIVHC, Kristin spent five years working at the University of Minnesota on organ transplant policy and ethics while completing her graduate studies. She has collaborated with the United Network for Organ Sharing and the Scientific Registry of Transplant Recipients to advance organ transplant and allocation policies, and contributed to the U.S. State of Transplantation reports for 2009-2012. Kristin received her Bachelor’s degree in Biology from the University of Colorado at Boulder and completed her Juris Doctorate and Masters of Public Health degrees at the University of Minnesota. Erin supports the administration of the Colorado All Payer Claims Database, including intake, payer collaboration, and non-public reporting project management. Before joining CIVHC, Erin worked in Washington, D.C. focusing on United States Foreign Policy in the Middle East and National Security as Editorial Assistant and then Director of Administration at the Middle East Policy Council. Ms. Perry holds three Bachelor of Art degrees in History, Arabic, and International Relations. Tamaan Osbourne-Roberts, MD, works with physicians and other stakeholders to engage, educate and advance health care. Dr. Osbourne-Roberts has an extensive background in patient care paired with local and national work focused on driving health care system transformation. He received his M.D. and completed his family medicine residency at University of Colorado after finishing his undergraduate work at Williams College. Passionate about serving Colorado’s underserved, Dr. Osbourne-Roberts spent several years providing care in rural communities, and currently practices at Salud Family Health Centers where he serves primarily Spanish-speaking, low-income residents. As VP of Business Development, Pete manages CO APCD products and client management and develops and maintains strategic partnerships and relationships. Pete has over twenty years of progressive management, including product innovation, business development and governmental affairs. Most recently, he served as the Western States Government Relations Manager for the national non-profit, Nurse-Family Partnership. Prior to that, Pete served as CEO of MyLifeLine.org, Regional Officer for the Agency for Healthcare Research and Quality’s (AHRQ) Effective Health Care Program, and Vice President of Government Affairs & Strategic Partnerships for Healthgrades. With Healthgrades, Pete focused on acquisition and licensing data and worked directly with more than 150 hospitals in 40 states on quality improvement and business development projects. Julia is CIVHC’s Data Intake Analyst, responsible for working with the health insurance companies (public and private) and data warehouse managers HSRI and NORC to ensure claims data is submitted to the Colorado All Payer Claims Database (CO APCD) according to the Data Submission Guide. Julia also provides analysis of claims data for custom and public reporting. Prior to joining CIVHC full time, Julia worked with CIVHC as an intern while completing her Bachelor of Science in Business Administration, Business Information and Analytics at the University of Denver, Daniels College of Business. Stephanie is responsible for all content development and management activities in her role as Content and Report Manager. She first joined CIVHC as a Program Assistant, prior to which, she was a Stage Manager at several regional theatres across the nation and a member of Actor’s Equity Association. Upon moving to Colorado she became Coordinator of Peripheral Services for Regal Facility Management. She received a Bachelor of Arts from the University of New Mexico and a Master of Liberal Studies with a focus in Creative Writing from the University of Denver.